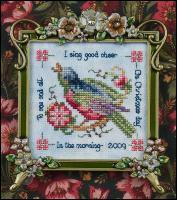 This ornament pattern has a happy bird singing “To one and all I sing good cheer on Christmas day in the morning” with a place for the year. 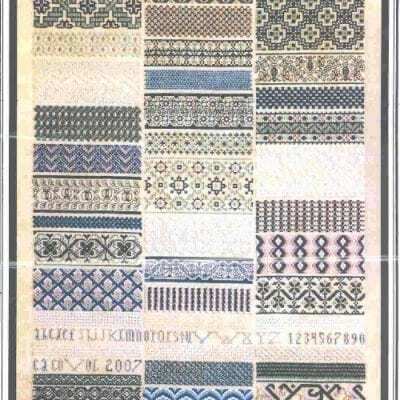 Pattern comes with seed beads for accenting the design (47H x 49W) is 3″ x 3″ on 32 count Summer Winds Opalescent Belfast linen. Threads listed are DMC floss or Soie d’alger if you prefer to use silk floss.